Welcome to my website! As a Realtor, my business if founded on building a human connection with my clients. I hope this section helps you get to know me before choosing to work with me. I was born and raised in Etobicoke, later moving to Mississauga where I have spent the last 14 years. I am proud to call this vibrant city my home! My favorite place to spend time in Mississauga is Port Credit. Whether I'm sipping a coffee by the lake, enjoying a meal on one of the trendy patios, or simply taking a walk, Port Credit is where I love to be. Growing up, I was fascinated by architecture in all its forms. After pursuing an education in Residential Architectural Design and City Planning, I was fortunate enough to work for talented local design firms and home builders. 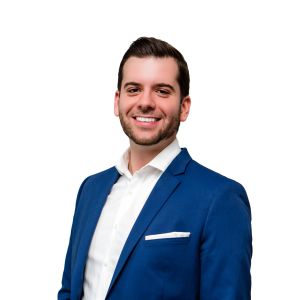 I decided to combine my passion for home design with my customer service experience and take the plunge into the world of Real Estate where I could incorporate all that I've learned. Real Estate has proven to be my ideal career; There is no other industry I could have chosen that would allow me to the opportunity to showcase my energy, versatility and professionalism. Getting to know my clients is a must. Once I understand your personality and your long-term goals, I feel prepared to tailor the home-hunting experience to your needs. Dedicated Realtors spend time working their clients on every angle of a Real Estate transaction, and building a relationship is the cornerstone of this process. Real Estate transactions can be a daunting process, regardless of a client's previous purchasing or selling history. I aim to make my clients as comfortable as possible with their options and decisions. Whether selling your longtime family home or buying your first place, no two transactions are identical. My objective is to give you the confidence and knowledge to choose what's right for you. I strive to provide nothing short of excellence in service to my clients. Their expectations are paramount in conducting our time together. Real Estate is very much a "people" business, and a thorough Real Estate agent should be an advisor as well as a partner- someone who has the the answers you need and understands your views. I respect your time. I prefer to maximize our time together by grouping showings and meetings, assuming this is possible. I don't believe in showing you just any home. I take the time with my research, and screen out the properties that I feel would not be a good match for you. Everything is explained to you in clear, everyday language. I avoid "legalese" and real estate jargon that can prove confusing and unnecessarily complicates the process. Keeping you in-the-know in a way that makes sense to you is a principle that guides my business. I will be available when it's convenient to you and prepared to keep you informed on any new developments. You can expect up-to-date details and current advise when we talk about your goals. I have built reliable working relationships with a team of trusted professionals in the field of financing, banking, home inspection, real estate law, and construction. Thank you for taking the time to get to know me. I look forward to the privilege of hearing your story and accompanying you on your next real estate journey. If you're ready to make your next move and think we'd be a good match, or simply have further questions, please get in touch!